The U.S. Grand Prix competition kicks off today at Snowmass Ski Area. It’s a qualifier for the Olympics, and some local athletes are vying for spots. The 2017 World Cup Finals featured all the traditional races, and one that will make its Olympic debut next year. The Alpine Team Event is starting to carve out a niche in the elite ski racing world. Developers are hoping to reach the final frontier of mountain base development in Aspen with a controversial proposal that’s in front of elected officials now. The days between Christmas and New Year’s were the busiest in Aspen Skiing Company’s history. 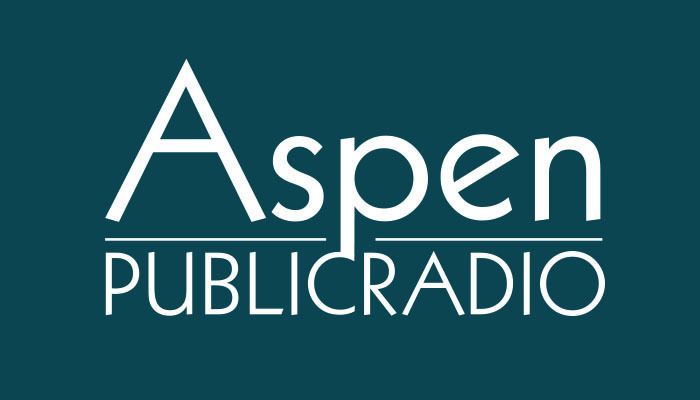 Aspen Public Radio’s Carolyn Sackariason spoke with SkiCo president and CEO Mike Kaplan about the numbers and the carrying capacity of town. On this week’s Mountain Edition, hosts Elizabeth Stewart-Severy and Wyatt Orme present a compilation of the week’s news. The International Ski Federation has given its final blessing for Aspen Mountain to host the world cup finals in March of 2017. The International Ski Federation gave its blessing earlier this week that the west side of Aspen Mountain will be the site of the mens and womens world cup ski finals. Joining Aspen Public Radio’s Carolyn Sackariason for Valley Roundup are Madeleine Osberger, contributing editor of the Aspen Daily News, Lorenzo Semple, columnist for the Aspen Daily News and Randy Essex, editor of the Glenwood Post Independent. Aspen Hall of Famer Tage Pedersen passed away Tuesday in Ashland, Oregon. He was best known for his dedicated work in fitness and rehabilitation with the U.S. Ski Team over four decades. Alpine ski racer Mikaela Shiffrin made history in Aspen over the weekend. The Vail native pulled in two slalom wins during the three-day World Cup event. Aspen Public Radio’s Marci Krivonen reports. One of the U.S. women competing at the World Cup races in Aspen is coming back from a knee injury. This season Resi Stiegler of Jackson Hole is working to again be among the best racers in the world. Stiegler will race in slalom over the weekend. It’s among her first competitions after ACL surgery following a crash during a January training run. Last season, her best competition was at the World Cup in Aspen, where she placed eleventh. She says the Aspen race course is one of her favorites with its rolling hills and curves. She wants a solid race here. Cross-country skier Simi Hamilton is satisfied with his season so far. The Aspen native placed 12th in the World Championships in Sweden last month. Aspen Public Radio’s Marci Krivonen sat down with him. Hamilton will finish his final race of the season this weekend. During his season, Hamilton put together a video of the U.S. Cross Country team that went viral on the internet. Nearly 59,000 people have viewed it on YouTube. Aspen resident and cross-country skier Noah Hoffman says he plans to race in the world championships this year after suffering a broken fibula in November. The 25-year-old distance skier fell at a World Cup race in Finland and he’s been recovering ever since. Aspen Public Radio's Marci Krivonen caught up with him late last month. Noah Hoffman of Aspen is the U.S. Ski Team’s top distance skier. The World Championships are in Sweden in late February. Professional snow sports athletes have started their competitive season and many are traveling from race to race. For most, the cost of competing can be as challenging as defeating their opponents. Nordic ski racer Noah Hoffman and Nordic Combined athlete Michael Ward talked about the expense during a recent visit to Aspen Public Radio. They were preparing for a fundraiser in Aspen and spoke with Aspen Public Radio's Marci Krivonen. Heavy snow and cold temperatures allowed a new Aspen training venue for skiers, snowboarders and adaptive athletes to open earlier than expected. AVSC’s Stapleton Alpine Training Venue opened Saturday. That’s at Aspen Highlands. Organizers call the venue “world class” and one of the best early season training grounds. It will cover 35 acres and feature downhill courses, moguls, jumps and rails. It’s meant for alpine racers, freestyle skiers and snowboarders, adaptive athletes and most of all, for the 2300 kids the Aspen Valley Ski and Snowboard Club serves. Good afternoon and welcome to Mountain Edition. Wintry weather descends on the Roaring Fork Valley this week closing Independence Pass and prompting locals to break out their cold weather gear. Two Roaring Fork Valley residents are renamed to the U.S. Ski Team. Aspen holds its annual Veterans Day service. The Forest Service highlights crowds over-loving backcountry spots, big employers move forward with a plan to make their workers healthier, and politicians in Denver put their ducks in a row after a surprising election. The Aspen area athletes vying for a spot on Team USA are competing in Olympic qualifying contests. Months of training lead up to this time of the year when athletes throw their best tricks and ski as fast as they can. But for some, the season is cut short because they get hurt. That’s the case for ski racer Wiley Maple. The 23-year-old was anticipating competing for a spot on the U.S. Olympic team. As he explains, the setback is difficult but somewhat common in the world of sports. Aspen Public Radio's Marci Krivonen spoke with Maple. The 2014 Winter Olympics are less than two months away and local athletes are preparing. Ski racer Alice McKennis has a good shot at making Team USA if she can overcome a serious injury. Earlier this year the New Castle native crashed at a race in Germany. Late last month in Copper, she made some serious headway. Aspen Public Radio’s Marci Krivonen reports. On a recent cold day in Copper, ski racer Alice McKennis suits up. She buckles her boots, puts on a back protector and dons a tight-fitting speed suit. With the Winter Olympics less than three months away, local athletes are competing in races that will determine whether they make Team USA. Ski racer Noah Hoffman is the top distance Nordic skier in the country. And, he’s preparing for upcoming races in Norway and Finland. The 24-year-old says he’s ready, after hundreds of hours of training this summer. Aspen Public Radio's Marci Krivonen reports. Today, we look at one of three Aspen-area athletes who competes in cross country skiing. Michael Ward is one of the youngest on the US Nordic team. He’s just 20-years-old. Still, he’s hoping to beat the older competition so he can land a spot on the U.S. Olympic team. Aspen Public Radio's Marci Krivonen reports.